An iconic golden bee details the house web on the sides of Italian-leather sneakers finished with logo-embossed metallic genuine snakeskin at the heel counter. 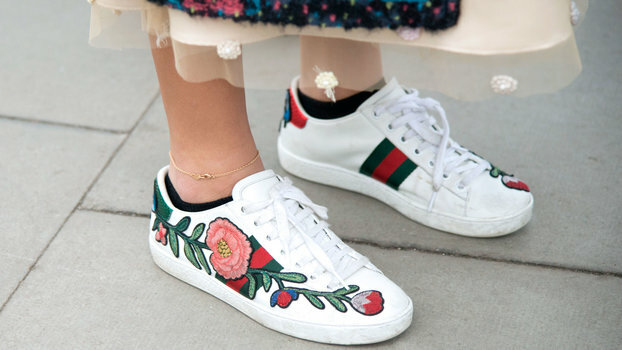 Style Name: Gucci New Ace Sneaker (Women). Style Number: 5422788. Available in stores.